Harcourts Blue is located in the Kardinya Commercial Centre on the corner of Gilbertson Road and South Street, Kardinya, Western Australia. Please visit our website: www.blue.harcourts.com.au to read more about our office, friendly staff and our latest listings both for sale and for lease. Dino Valerio has enjoyed a substantial Real Estate career since 1996, with a Diploma of Property coupled with his status as Licensee qualifies him in facets of Real Estate, his experience and knowledge of the industry can provide you with sound and accurate advice. With a track record of thorough and professional service, achieving good results for his clients which has earnt him constant referral and repeat business. To achieve this type of consitency Dino believes the main attributes are effective marketing, good communication and strong area knowledge; in addition a commitment to service from the time the property is marketed, to the sale and through to settlement. Dino holds strongly to the Harcourts philosophy that a client should be a client for life; thus aiming to be constantly your property agent of choice year after year through providing memorable service. Leigh promises to give his vendors and their property the attention and respect they both deserve, as he strives to make the selling process as stress free as possible, whilst negotiating the highest possible price. Leigh completed a four year degree at the University of Western Australia. However, as he has always worked in the sales industry, he chose to employ his people skills in the Real Estate Industry. As Leigh sets himself a high standard of service and professionalism, residents in Kardinya and surrounding areas can rest assured that their property will be in safe hands. 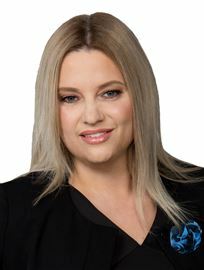 Ashley O’Donnell has joined the team at Harcourts Blue in Kardinya as a Property Consultant, specialising in Bibra Lake and surrounding areas. Ashley has worked in retail for several years. His ability to listen to his clients’ needs, are among the keys to his success. He has a genuine passion for real estate, is hardworking, energetic and always goes the extra mile for his clients. He strives for excellence and consistently places his client’s interests first, understanding the importance of relationships in both the short and the long-term. The most important values to Ashley are Honesty, Trust and Professionalism Ashley has grown up in the Cockburn district and when not selling houses he plays an active role in his community. If you feel Ashley can help you with your real estate needs, please contact him today on 0412 728 509. Cristina joins Harcourts Blue with over 9 year's experience in real estate and is known for her professionalism and exceptional customer service. Her achievements come through a genuine interest in her clients property matters, always going above and beyond to achieve a successful result. Cristina’s success is attributed for her love of people and her ability to communicate effectively with both parties. She ensures both buyers and sellers are happy with the end results. Her results are driven by her passion and Cristina will provide her clients with the highest level of service. To say Harry is a people person would be an understatement. He is aware that when the time comes to sell your home, it can be a highly emotional and stressful time. He is passionate about helping and providing a level of service that is beyond expectations. For him, this means not only to deliver outstanding sales results, but ensuring the journey is as seamless and stress free as possible. 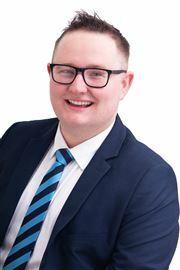 Harry's experience allows him to connect with everyone at all levels and when engaging him to sell your home you will find him to be an articulate communicator, highly transparent with utmost integrity. His direct communication style also contributes to his skilled negotiating ability and you will be totally reassured your home is in the right hands! Harry is fluent in Malay and Bahasa Indonesia and makes himself available to facilitate international negotiations. We are pleased to announce that Jack Yeo has joined the team at Harcourts Blue. Jack believes Harcourts Blue is an agency that will provide him with the best opportunity to deliver professional and quality customer service to his clients. 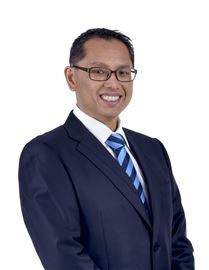 He has been in the real estate industry since 2007 so is no stranger to the real estate arena. Prior to commencing at Harcourts Blue, he owned and operated a thriving cafe in O’Connor. Following this he pursued a career in property, in both local and international real estate agencies, selling and leasing industrial, commercial and residential properties. Within these roles, he has honed his skills as a savvy negotiator; and coupled with his professional approach, has delivered (and will continue to deliver) terrific results time and time again. He strives to provide his clients with personalised customer service. His goal is to deliver results with maximum return while ensuring his clients benefit from a positive experience. 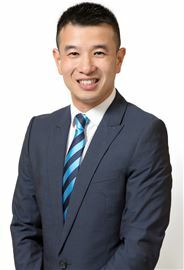 He is fluent in Mandarin, a skill which will certainly be an advantage to those wishing to sell their property in a market that contains many foreign buyers from Asia. He is looking forward to working with you to make your real estate dreams a reality. Talk to Jack today on 0411 527 848. Peter Halton has been selling Real Estate since November 1987, and has over 20 years sales experience specialising in Kardinya, Samson and surrounding areas. During his career, Peter has reached the highest levels, having operated within the top 5 to 10 percent of sales consultants in Australia and New Zealand. Peter enjoys his work immensely, as it comprises meeting and dealing with people. He achieves top results for his clients, pays close attention to detail and one of his highest priorities and strengths is good communication from the commencement of the listing authority through to the finalization of the sale. Peter has accrued a large client base of loyal customers who have sought his opinion, advice and services time and again, culminating in referral and repeat business. You will receive service at the highest level. Born in Kalgoorlie, Peter has lived in the Perth metropolitan area for most of his life. He has an extensive sales and marketing background having been employed in the metals manufacturing and distribution industry over many years, and is well known by many people throughout W.A. Peter possesses strong negotiation skills, has a friendly manner, enjoys meeting and dealing with people and has both built and demonstrated a proven track record for delivering results. His passion for selling, linked with his capacity to identify “needs and wants” generates a high success rate that guarantees satisfaction for both buyer and seller. Dedication to his profession drives him to constant levels of outstanding service to clients. An Academic background includes Diplomas in Architectural Drafting, Environmental Health and Building Technology. His entry into the field of Real Estate is one that was well planned for and he looks forward with great enthusiasm and motivation, to future challenges. Your professional and friendly Harcourts Office in Kardinya ensures personalized service backed by state of the art marketing and a strong local presence, which is a winning formula for future sellers. Phil has over 20 years’ experience in the building & construction, property development and transport industries serving in the positions of General Manager, State Manager & Special Projects Manager for over 20 years, with 12 years of this successfully owning and operating his own business. His extensive background in property related projects and exceptional customer service together with his hands on approach is a vital component of his success. With Phil’s comprehensive knowledge of the real estate market and commitment to ongoing research Buyers and Sellers can be confident that they are dealing with a true professional! Phil is a dedicated family man, married for 25 years with 2 children and lives in the Bull Creek area. If you are a Bull Creek home owner and have any real estate matters you would like to discuss without the pressure of hard sell please give Phil a call. Carmen Herold has joined the Property Management team at Harcourts Blue working alongside Ellie Jackson and Jasmine Overton as a Property Manager. She started working in the Real Estate Industry in 2015 as an Office Administrator, working alongside an award winning Property Manager and Property Management office at Harcourts Cooper & Co in Auckland New Zealand. Carmen knows what is required to provide and maintain a high standard of care. She has the tools, knowledge and resources to provide you with the best service available. Carmen takes pride in everything she is responsible for and brings a positive attitude to our office, she is a true professional with excellent time management and organizational skills. Ellie’s commitment to professionalism and attention to detail, ensures her clients obtain a high level of service. Ellie is easy to talk to yet honest and thorough in her approach to any situation. Displaying a refreshing 'can-do' attitude and excellent problem-solving skills, Ellie is quick to respond to all matters and goes out of her way to ensure the best resolution. She has a strong work ethic and understands the essential factors of property management for both landlords and tenants, resulting in long-term working relationships. With an extensive career background in the real estate Industry, Jasmine works alongside with Danica portfolio sharing. She is aware at all times the status of your property, along with current market conditions. Jasmine has a very caring nature and works extremely hard at looking after your property. She has highly organized structures, has fantastic communication skills, a dedicated work ethic and works hard to get the best outcome for you in all situations.